Sometimes bigger isn’t always better; sometimes bigger is just more expensive. For those who like the style and roominess of an SUV, but don’t like the huge bulky feel and the overly-excessive gas guzzling of the larger models, there are the best small SUVs. Some of these are considered larger crossovers, which only means they offer the best of what a sedan and an SUV have to offer, combined into one vehicle. After scouring research from automotive experts at Car and Driver, Consumer Reports, Edmunds, and Motor Trend, we’ve found the best small SUVs of the 2010-2011 model year. The Q5 is available in four trim levels and all of them are top-of-the-line. You have a choice between the 2.0L turbocharged 4-cylinder engine or the 3.2L V6, either one coming with AWD standard. 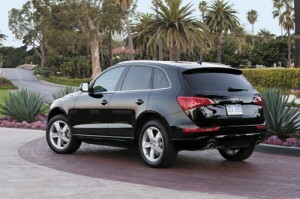 Despite being a small SUV, the Audi exhibits a very decent towing capacity of 4,400 pounds when properly equipped. The interior consists of an elegant interior design and top-notch materials. The third-generation Multi-Media Interface (MMI) has revised menus and an additional joystick button for enhanced control. Still, the real coupe de grace may be the driving experience. The Q5 exhibits smooth acceleration, ample power when needed, and extremely sporty handling. Definitely head of the class. 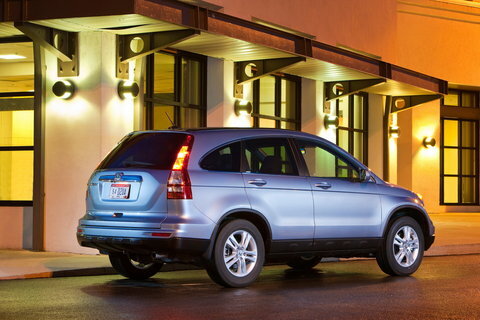 The CR-V may be the best choice on this list for families. It is available with AWD but you’ll have to settle for one engine choice – the 2.4L 4-cylinder. That may only be an added perk for some, as it keeps fuel efficiency at a reasonable 21/27 mpg (city/highway). The real high point is the cabin. Both functional and attractive, it offers several amenities for parents. Wide-opening rear doors, a lightweight rear liftgate, and a conversation mirror which allows the driver to see the back seat without turning around, are all parental favorites. Handling is sharp, but road noise is still an issue for Honda. 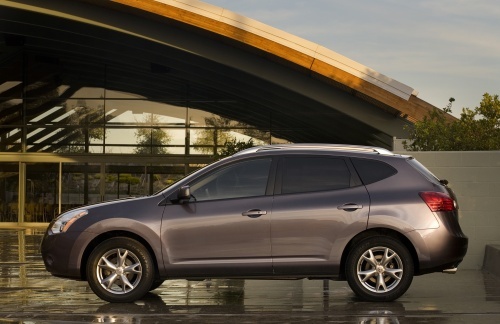 The Rogue is another small crossover that limits your engine choices to one – the 2.5L 4-cylinder. Still, the smaller engine only enhances its driving experience as it drives more like a sedan with great handling. This Nissan actually boasts one of the nicest interiors in this class, built with high-quality materials and ample front storage. It’s actually rear storage where the Rogue comes up short. Cargo space starts at 28.9 cubic-feet and jumps to 57.9 cubes with the rear seats folded down. That’s considerably less than most competitors. Also, the rear seats don’t provide much in the way of adjustment as they don’t recline or slide fore or aft. Still, the price and comfort make it a strong contender. 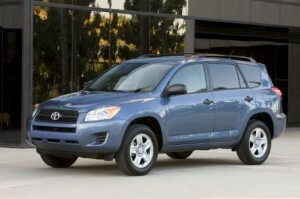 The RAV4 is one of the most spacious small SUVs on the market. It also gives the choice of a 2.5L 4-cylinder or 3.5L V6 engine. Instead of AWD, the Toyota offers 4WD which can be manually locked at a 50/50 front-rear split for driving in poor conditions like snow or loose gravel. Towing capacity isn’t the greatest in the class, but still manages 3,500 pounds properly equipped. Despite the additional storage space that makes the RAV4 so appealing, it’s really the interior that provides the biggest drawback. It utilizes more of a budget design and some poor material quality in certain areas. It’s also not as responsive on the road as some competitors, but does provide a decent fuel economy and loads of rear cargo space.